The Day Clock has been designed to help people with Dementia or Alzheimers. It features a simple and clear display showing the time, day and year. 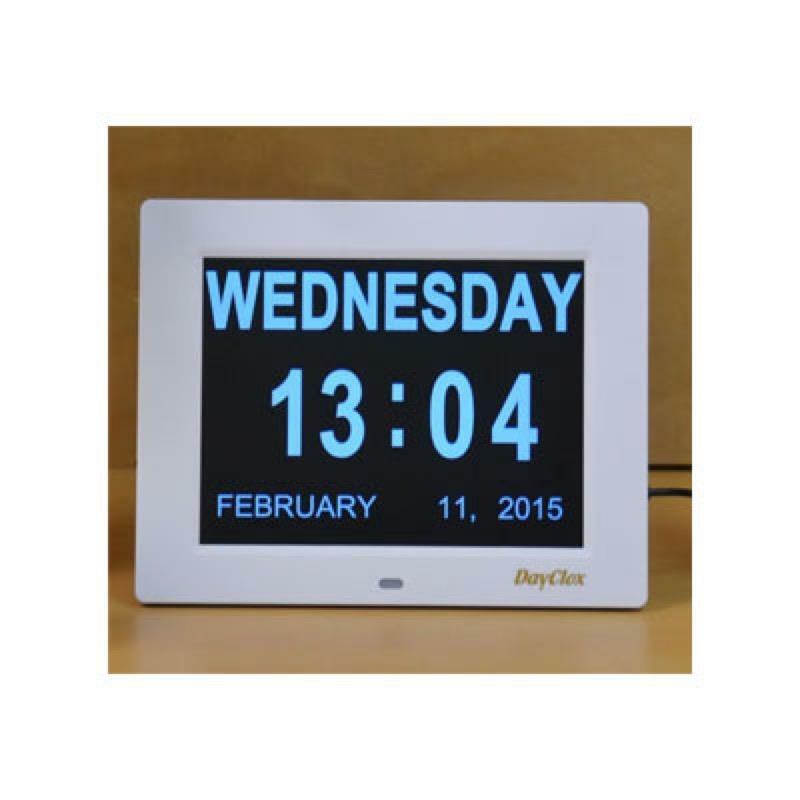 A Digital Day Clock that has been declared as the best 'Easy to Read' clock available by Alzheimer and Dementia communities. An 8" screen clearly shows the day, time, month and year and the clock features a pop out stand and wall hanging slot. Also features a night time extra dimmer and built in battery back-up.